Air quality filtering through the inside of Las Vegas homes is extremely important in our climate and weather conditions, more so to those struggling with allergies, asthma or poor respiratory issues. Premium air filters and air purifiers could be what your home needs to improve the indoor air quality of your abode. 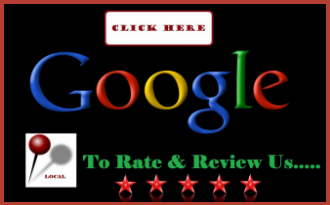 Air Supply Heating and Air Conditioning provides superior services for your repair, maintenance and installation needs. 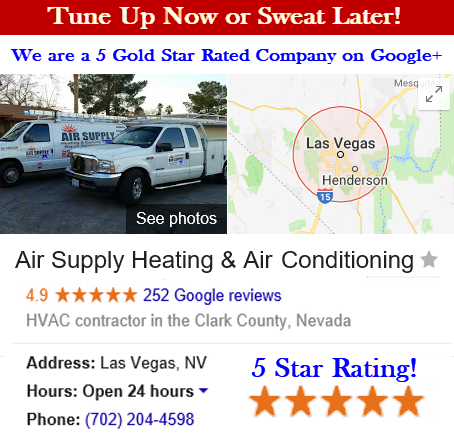 Our professionals can dramatically improve your indoor air quality by consulting with you on the use of air filters better engineered for the Las Vegas desert, along with installing top of the line air purifiers. High levels of pollen, along with other allergens, and humidity can compromise the quality of air circulating throughout your home, assaulting allergy sufferers and people inflicted with asthma. Triggering these attacks can be greatly reduced with the aid of the proper air quality improving products from Air Supply Heating and Air Conditioning. Air purifier installation is an affordable way to contribute to filtering out the particulate assassins that contribute to respiratory issues or other health concerns. When either your heating or air conditioning is in use, the air filters are doing what it can to contain the contaminants that are floating in the air circulation, and the air conditioning does a its duty in reducing humidity levels in the air when in use. However, sometimes the Las Vegas desert we call home can make these methods inadequate. Particles such as; dust, pet dander, dust mites, mold, bacteria, viruses, germs, and other volatile organic compounds could be slipping through the average barricades of generic filters that will continue to strike on your delicate respiratory system. Installing UV Germicidal Lights Premium Air Purifiers can greatly reduce those harmful particles, allowing you to breathe easier, and minimize the health risks. Exceptional HEPA Air Filters are more beneficial than the generic filters. High efficiency ratings or HEPA filters can greatly improve the air quality in your home. Ask our experienced professionals at Air Supply Heating and Air Conditioning about the right kind of air filters better suited for your system and your needs. Remember to clean or replace them a minimum of every three months, or check them once a month and perform the maintenance as needed. There are many options you can choose from to help the indoor air quality of your home through air filtration and purification applications and installations. 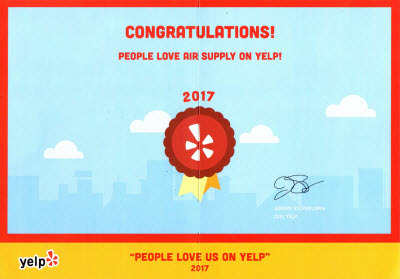 Our professionals at Air Supply Heating and Air Conditioning can perform an indoor air quality inspection service and recommend the most beneficial and affordable methods to help get your home the proper air filtering system it needs to help you breathe, reduce allergies and keep the energy and HVAC efficiency up to par. 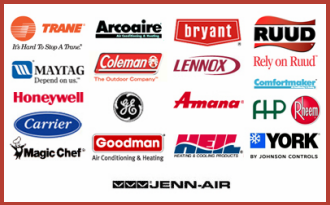 Air Supply Heating and Air Conditioning have all the credentials, certifications, licenses, and insurance to guarantee our valued customers with satisfactory services in installation, maintenance and repair to keep your home comfortable all year long. Call us today for your air quality improvement services!